What is the Relationship Between DNA and RNA? Messenger RNA is single-stranded, as opposed to DNA, which has two strands arranged in a double-helix. 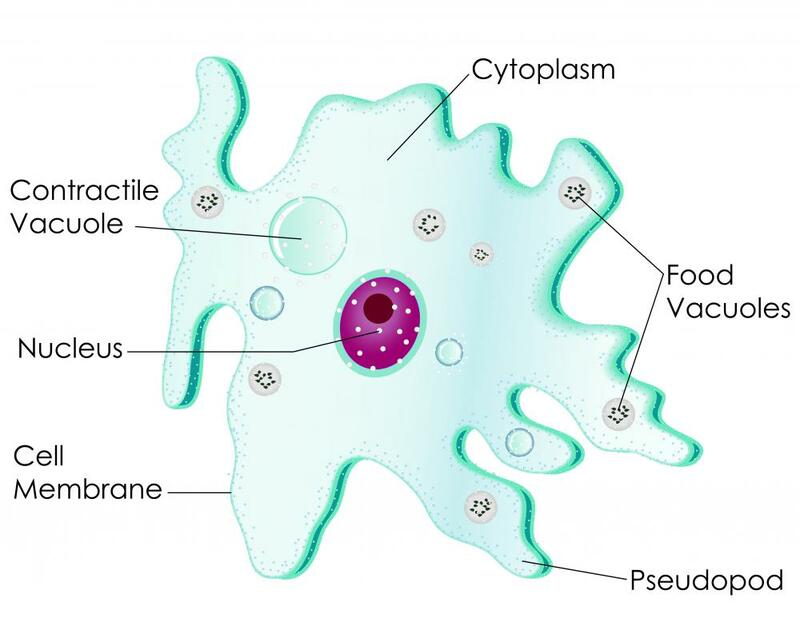 DNA is contained within the cell nucleus. DNA and RNA are nucleic acids that play complementary roles in living cells. The process of transcription transfers the cell's genetic information between DNA and RNA. Translation is the process by which the cell uses the RNA to create essential proteins. Deoxyribonucleic acid (DNA) is contained in the cell nucleus and is always present. 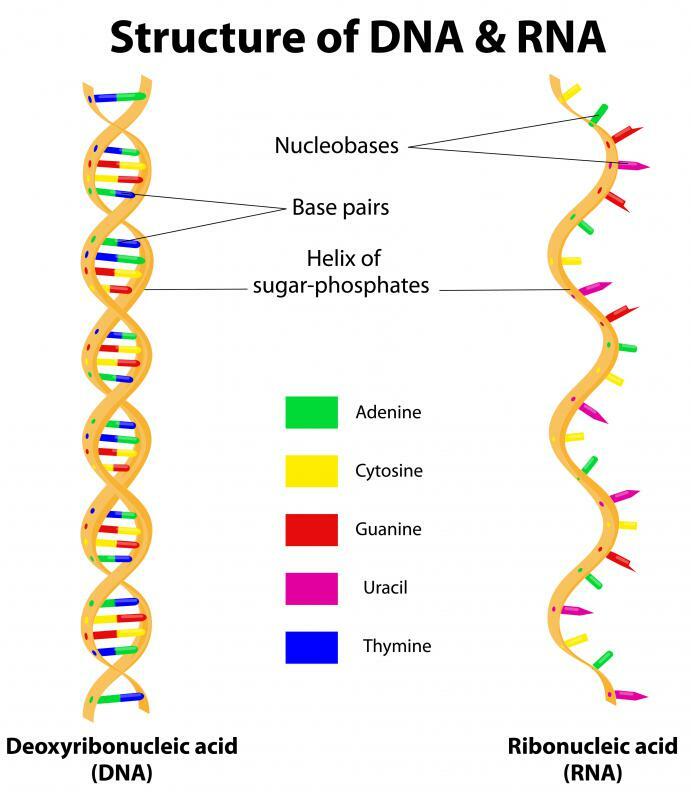 One type of ribonucleic acid (RNA) is part of the structure of the ribosome, while the other two types of RNA are only present in the cell when they are being used to create new proteins. Double-stranded DNA makes up the chromosome of the cell. Genes are sections of the DNA that code for certain traits in the organism. At the cellular level, genes tell the cell to make certain proteins. DNA and RNA work together to produce these proteins using the cell's genetic code. In transcription, an enzyme called an RNA polymerase uses a gene in the DNA as a template to create a strand of messenger RNA (mRNA). The RNA polymerase basically unzips the section of DNA that is to be copied, so that it is temporarily in two single strands. Then the polymerase reads the DNA's base molecules and creates a strand of mRNA using complementary base molecules. DNA and RNA each have four base molecules, of which, three are the same. DNA contains adenine (A), guanine (G), thymine (T), and cytosine (C). RNA also contains the A, G, and C bases, but has uracil (U) instead of thymine. In DNA, A bonds with T, and G bonds with C. When the RNA polymerase creates a strand of RNA based on the DNA template, the mRNA strand will have A where the DNA has T; U where the DNA has A; G where the DNA has C; and C where the DNA has G.
Translation takes place in the cell's ribosome, where ribosomal RNA (rRNA) is located. The cell uses mRNA and transfer RNA (tRNA) to create amino acids, which are then used to form proteins. There are 20 essential amino acids, each of which is represented by a 3-base section of the mRNA called a codon. Specific tRNA strands exist to correspond with each codon, and each segment of tRNA carries an amino acid. A ribosome, which is composed of rRNA and proteins, attaches to a strand of mRNA. Segments of tRNA which correspond with each codon on the mRNA strand also attach to it. As tRNA bonds with the mRNA, the amino acids carried by the tRNA bond with each other to begin forming a new amino acid chain. What Is the Transcription Process? What Is a RNA Polymerase? What Is a Transcription Unit? What Are the Different Types of RNA Isolation Kits?